The Alliance for Lobby Transparency and Ethics Regulation (ALTER-EU)  has today launched an appeal to Members of the European Parliament (MEPs) to strengthen its ethics rules in order to prevent new lobbying scandals from emerging. During a public debate held last night in the European Parliament, the ALTER-EU coalition presented a ten-point set of policy recommendations for a strengthened MEP Code of Conduct. A key demand is a ban on MEPs holding side jobs with companies or groups that are involved in EU lobbying. “Four years after the 2011 'cash for amendments' scandal in the European Parliament, and three years after the adoption of the Code of Conduct for MEPs, it is high time for a review of the rules for MEPs to ensure that conflicts of interest and undue influence are avoided,” said Paul de Clerck, of Friends of the Earth Europe and a member of the ALTER-EU steering committee. “A number of MEPs continue to work for companies or groups that directly lobby EU institutions. That is not in the spirit of the code and we urgently need a clear and specific ban on side jobs that lead to conflicts of interest,” he added. The recent 'cash for access' scandal in the UK, which showed how UK Member of Parliament Jack Straw lobbied the European Commission to change EU sugar trading rules on behalf of a lobby consultancy firm, has highlighted the need for improvements to ethics rules for elected representatives at both the national and EU levels. In the wake of this recent scandal, Labour and the Greens have called for a ban on MPs holding second jobs that involve lobbying. “To avoid new lobbying scandals, we need President Schulz to play a far more active role. He needs to acknowledge that in cases of clear conflicts of interest, it is not enough to simply be transparent about them. Such conflicts must also be resolved. MEPs with conflicts of interest should face thorough investigation and sanctions”, said Nina Katzemich, LobbyControl and member of the ALTER-EU steering committee. The ten ALTER-EU recommendations include tighter disclosure requirements for outside financial interests, a strengthened ethics advisory committee and stronger sanctions for violations of the code of conduct. Yesterday's public debate featured reactions from MEPs Nessa Childers, Richard Corbett and Sven Giegold, who all advocated strengthening ethics rules for MEPs. 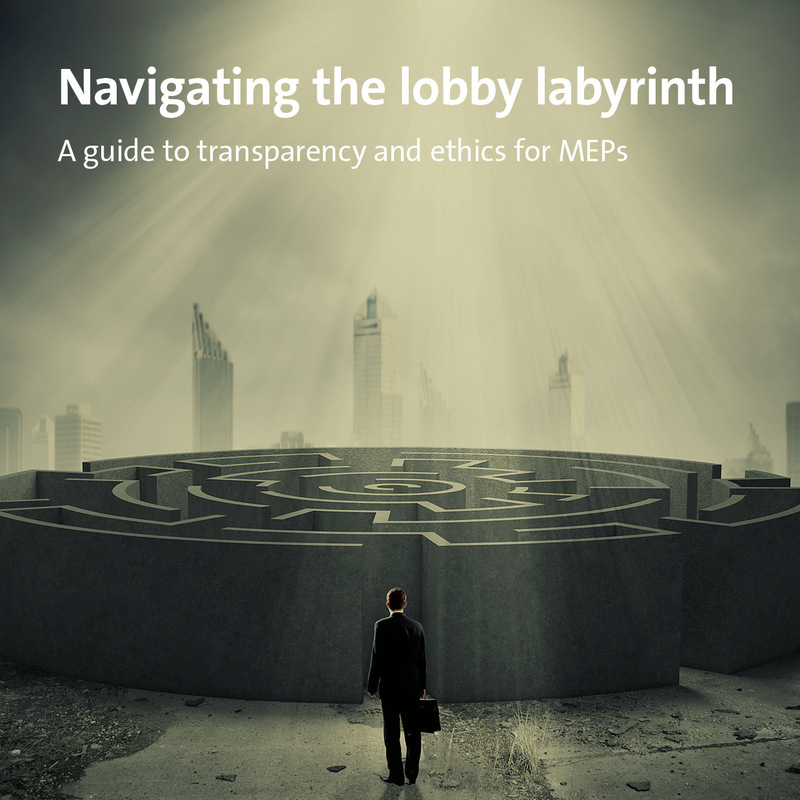 ALTER-EU also presented a new booklet entitled “Navigating the lobby labyrinth: A guide to transparency and ethics for MEPs”. The guide offers practical advice for MEPs on how to navigate the Brussels bubble while maintaining their independence and integrity, especially when it comes to contacts with lobbyists. 1. ALTER-EU is a coalition of over 200 civil society groups and trade unions concerned with the increasing influence exerted by corporate lobbyists on the political agenda in Europe. During the 2014 EU elections, we ran the Politics for People campaign which gained the support of 180 MEPs, all of whom have pledged to “stand-up against the excessive lobbying influence of banks and big business”.